CLASS V.�DUTCH FLORISTS' TULIPS�BREEDER VARIETIES. Definition: Flower oval or cupped, brown, purple, or red, but sometimes bronze; base white or yellow, but generally stained blue or green to blue-black. a. Roses. -- Definition: Pink to red. Charles Dickens. b. Bybloemen. -- Definition: Purple to violet. Bacchus, Cardinal Manning, Godet Parfait, Velvet King. c. Bizarres. -- Definition: Shades of scarlet, bronze or brown. Dom Pedro, Louis Quatorze, Panorama. Admiral van Kingsbergen.�Reddish purple; base white; filaments blue at tips; 26 inches; May 5, 17 days. Annie Macgregor.�Not the famous English florists' variety of the same name; 26 inches; May 15, 14 days. Carl Becker.�Of Darwin shape; rose with a broad pale margin to each segment, rose-pink shaded with flesh colour inside; base picric yellow, passing to green; filaments green; 36 inches; April 30, 20 days. Charles Dickens.�Segments rather more pointed than in English Tulips, otherwise of excellent form; base and filaments very clean; 27 inches; May 10, 19 days. Correggio.�Crimson; 24 inches; May 8, 18 days. Crimson Beauty.�Cherry-rose; 17 inches; May 10, 16 days. Earth Globe.�Deep rose-red; base white, stained; 22 inches; May 7, 21 days. Kern = Maria Edgeworth, q.v. La Tendresse.�Rose; 26 inches; May 15, 15 days. Lord Byron.�A long conical flower; rose-red, with dull purplish bloom outside; base small, lemon-yellow; 23 inches; April 27, 20 days. 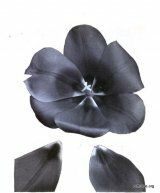 Lord Grey.�A long flower, dark rose; base deeply stained; 26 inches; May 5, 21 days. Lord Macaulay.�Form good; cherry-rose; base white; 30 inches; May 8, 18 days. Maria Edgeworth.�A shapely flower on a weak stem; white with a triangular beam of pink, amaranth-pink inside tinged with salmon; base lemon-yellow; 30 inches; May 8, 20 days. Marie Louise.�Dull rose with a yellowish edge; base whitish; 24 inches; May 10, 18 days. See also the Breeder Tulips section of this website. Philomel.�Rose; 22 inches; May 5, 20 days. Rose Agr�able.�26 inches; May 10, 15 days. Rose des Dames.�Of cup shape; rose; base tinged blue and olive; filaments violet-blue; 24 inches; May 16, 14 days. See also the Breeder Tulips section of this website. Vainqueur.�Cherry-red; 29 inches; May 7, 18 days. AEsculapius.�Form good; pale violet; base dull; 29 inches; May 8, 22 days. See also the Breeder Tulips section of this website. Alice = Prince Albert, q.v. Amazone.�Violet-purple; base white with blue ring; 25 inches; May 5, 20 days. Apollo.�Bright violet and deep purple; base white; 22 inches; May 7, 18 days. Attraction.�Rosy-lilac; base tinged yellow; 24 inches; May 6, 18 days. Bacchus.�Bright purple; base with white margin; filaments blue-black; 33 inches; May 3, 19 days. See also the Breeder Tulips section of this website. Baguette.�Rosy purple; base blue and yellow; 24 inches; May 8, 18 days. Black Chief.�Of good shape and substance; bright dark red- purple; base black; filaments black; 26 inches; May 8, 20 days. Bloemhof.�Of Darwin shape; light rosolane-purple outside, pink inside; base circular, dull blue, yellow near ovary; 28 inches; April 30, 20 days. Bougainville.�Light violet; base blue; 26 inches; May 5, 22 days. Cardinal Manning.�Egg-shape, large; Bishop's purple; base diffuse, tinged yellow; filaments blue at apex; 34 inches; May 8, 22 days. See also the Breeder Tulips section of this website. Carolus Duran.�Purplish violet; base blue; 29 inches; May 6, 20 days. Cetewayo.�Of Darwin shape; 25 inches; May 3, 22 days. Claudius.�22 inches; May 10, 16 days. Clown.�Long; violet; base large, clean; 24 inches; May 15, 15 days. Colonel Astor.�Of Darwin shape; violet; 28 inches; May 3, 19 days. Copernicus.�Small, shoulder rounded; maroon-black; base blue; 22 inches; May 7, 17 days. See also the Breeder Tulips section of this website. Cramoisi.�Reddish purple; base clear, white; 22 inches; May 8, 18 days. Cramoisi Violet.�26 inches; May 3, 22 days. Danae.�Purplish; base stained; 22 inches; May 3, 18 days. Dreadnought � Velvet King, q.v. Duke of Edinburgh.�Deep violet; base large, white; 33 inches; May 8, 22 days. Excellentissima.�Violet; 33 inches; May 10, 19 days. Firebrand.�A large violet flower; base white; 32 inches; May 5, 22 days. Frans Hals.�23 inches; May 10, 16 days. Godet Parfait.�Violet; 29 inches; May 7, 19 days. See also the Breeder Tulips section of this website. Goliath = Cardinal Manning, q.v. Grand Conqu�rant.�Large; purplish; 27 inches; May 3, 22 days. Grand Ma�tre.�Of medium size; purple; base blue and white; 27 inches; May 7, 13 days. Grand Monarque.�Of Darwin shape; dahlia-purple; base yellowish with green ring; 34 inches; May 5, 17 days. Gris-de-lin P�le.�Roundish flower; light lilac-purple; 25 inches; May 8, 14 days. Gumma.�25 inches; May 6, 16 days. Haidee.�Dull magenta; 21 inches; May 15, 15 days. H�lo�se.�25 inches; May 8, 14 days. Henry Percy.�24 inches; May 8, 18 days. Jeffries.�Large; dull pomegranate-purple; base bluish; filaments black; 32 inches; May 3, 18 days. Je Maintiendrai.�Small, of Darwin shape; amaranth-purple; base small, lemon yellow, clearly defined; 24 inches; May 7, 15 days. See also the Breeder Tulips section of this website. Judas Machab�e = Apoll0, q.v. Jupiter.�Reddish violet; 33 inches; May 15, 15 days. See also the Breeder Tulips section of this website. Kingscourt = Cardinal Manning, q.v. Klopstock.�Bishop's purple margined with purplish lilac; base white with a blue star; 24 inches; May 5, 21 days. See also the Breeder Tulips section of this website. L'Ambitieuse.�Violet; base white; 31 inches; May 10, 16 days. L'Amie Desvercheux.�Large, of Darwin shape; deep purplish violet; base stained; 20 days; May 3, 22 days. La Complice.�Violet with white midribs; base yellow; 21 inches; May 10, 12 days. La Douceur.�Violet; base white; 32 inches; May 6, 19 days. See also the Breeder Tulips section of this website. Lafayette = Black Chief, q.v. La N�grette.�Burnt lake; base lemon-chrome streaked olive; filaments lemon chrome, black above middle; 25 inches. La S�duisante.�Cup-shape; light violet; base stained; 26 inches; May 3, 18 days. La Singuli�re.�Goblet-shape; flushed deep pansy-purple, very dark at margins of segments; base white, large, diffuse; 27 inches; May 6, 20 days. L'�tincellante.�Large, purplish; base white; 28 inches; May 6, 20 days. Le Martiens.�24 inches; May 5, 15 days. Le Miroir.�Violet; base large, white, with blue margins; 25 inches; May 5, 21 days. Le Mogul.�29 inches; May 8, 18 days. See also the Breeder Tulips section of this website. Lion d'Hillegom.�Claret-purple; base white; 28 inches; May 6, 19 days. Very like ' Velvet King,' q.v. Lord Curzon = La Singuli�re, q.v. Mme. Augan.�Violet; flower quarters; base stained; 25 inches; May 10, 16 days. Ma Favorite.�Violet; 32 inches; May 15, 15 days. Marianne.�Raisin-purple; base white; filaments pale blue; 26 inches; May 5, 20 days. Marie Antoinette.�Large, well shaped; aconite-violet; base large, white; 28 inches; May 15, 15 days. Medea.�Dull magenta-purple; base white; filaments pale blue; 27 inches; May 10, 19 days. See also the Breeder Tulips section of this website. Mrs. Beecher Stowe.�Violet; base white, clean; 26 inches; May 10, 16 days. Newton.�Violet; 27 inches; May 8, 21 days. Noir V�ritable = Black Chief, q.v. Othello.�Amaranth-purple; base diffuse, yellowish streaked with olive; filaments black; 25 inches; May 7, 19 days. Pluto.�Purple; 25 inches; May 15, 15 days. Pourpre Aplatie.�18 inches; May 3, 25 days. President Lincoln.�Violet; base blue; 33 inches; May 15, 16 days. Prince Albert.�Form good; pale violet; base white; 30 inches; May 7, 18 days. See also the Breeder Tulips section of this website. Prince of Waterloo.�Violet; 35 inches; May 10, 16 days. Princess Alice.�28 inches; May 7, 20 days. Image Caption -- Figure 14: Darwin Tulip � 'Purple King', base purple-black, with white line along segment margins Click image for larger version. Purple Perfection.�Violet; base blue, tinged with yellow; 25 inches; May 4, 20 days. Queen Victoria.�Magenta; base blue and white. Regal Purple = Bacchus, q.v. Robinson.�Light violet; 30 inches; May 8, 19 days. Roi de Siam.�Purple; 30 inches; May 15, 15 days. Rosamundi.�Long; magenta; base white; 27 inches; May 15, 15 days. Sanspareille.�Purplish violet; 33 inches; May 7, 20 days. See also the Breeder Tulips section of this website. Sappho.�Violet -purple; 25 inches; May 10, 20 days. Sentinel = Je Maintiendrai, q.v. Socrates.�Violet; 25 inches; May 7, 18 days. Superba.�Deep maroon; 30 inches; May 8, 19 days. See also the Breeder Tulips section of this website. Tombeau de Lincoln.�Segments pointed; lilac with white and dark violet streaks; base stained. Velvet Gem = Velvet King, q.v. Velvet King.�Cup-shaped, large; bright dark red-purple; base small, sharply defined, white; 31 inches; May 14, 15 days. See also the Breeder Tulips section of this website. Vertumnus.�Violet; base large, white; 27 inches; May 5,15 days. Violata.�Large; pale bronzy lilac; base white, dirty; 24 inches; May 10, 14 days. Violet Magnifique.�Small; lavender-violet; 24 inches; May 7, 19 days. See also 'Poupre Magnifique' (a synonym for 'Violet Magnifique') in the Breeder Tulips section of this website. Violet Queen.�Long, form and substance goed; segments somewhat pointed; rich reddish purple; base white; tinged yellow; filaments blue above middle; 24 inches; May 4, 17 days. Wedding Coat.�Very dark; base stained. Wilberforce.�Orange-salmon, shaded cherry outside; 27 inches; May 8, 18 days. See also the Breeder Tulips section of this website. Willem de Zwyger.�Very large; violet-purple; base white; 26 inches; May 14, 13 days. Zanzibar.�Violet; 30 inches; May 8, 17 days. c. Bizarres.�Shades of scarlet, bronze, and brown. Bell's Queen.�Form very good; mahogany; base clean; 30 inches; May 10, 17 days. Catafalque.�Egg-shaped; coffee brown; base black. Coralie.�Reddish brown; 23 inches; May 8, 18 days. Dom Pedro.�Morocco-red on a cadmium-yellow ground; base yellowish, streaked olive; filaments olive; 28 inches; May 6, 20 days. See also the Breeder Tulips section of this website. Duc de Saxe Weimar.�Of Darwin shape; large; mahogany-red; 15 inches; May 10, 16 days. Felicitas.�Rounded; bronze; base green and yellow; 28 inches; May 7, 18 days. Gloria.�Pale purplish yellow; 23 inches; May 8, 20 days. Graaff van Beuren.�Flamed with livid purple and feathered carmine, margin slightly tinged yellow; base white, streaked lemon- yellow and margined blue; 30 inches; May 5, 21 days. Very similar to ' Turenne,' q.v. James Watt.�Large, round; slaty violet, with few yellow streaks; base dull, blackish; 25 inches; May 6, 20 days. Lord Cochrane.�Egg-shape; deep mahogany; base yellow, stained; 35 inches; May 8, 18 days. Louis XIV.�Large, goblet-shaped; dark dull bluish - violet, with tawny margin; base circular, dull blue; filaments blackish; 31 inches; May 5, 24 days. See also the Breeder Tulips section of this website. Mar�chal Victor.�Dull brownish; base yellow; 30 inches; May 8, 18 days. Mary Hollis.�Dull reddish-brown; 23 inches; May 5, 21 days. Meyerbeer.�Small; 28 inches; May 8, 18 days. Monument = ' Panorama,' q.v. Panorama.�Flower large, goblet-shape; rich chestnut-red; base and filaments chestnut-brown; 26 inches; May 7, 19 days. See also the Breeder Tulips section of this website. Prince of Wales.�Deep purplish maroon; base yellow. See also the Breeder Tulips section of this website. Rembrandt.�Chestnut-red; base clean; 32 inches; May 10, 17 days. Sir Robert Peel.�Egg-shape; scarlet; base clean; 25 inches; May 10, 16 days. Sobrina.�Mahogany, purplish outside; 20 inches; May 7, 18 days. Themistocles.�Orange-scarlet; base yellow; 27 inches; May 6, 20 days. Turenne.�Large, egg-shape; nigrosin-violet; base baryta-yellow with irregular blue margin; 25 inches; May 5, 17 days. Victor Hugo.�Large; purplish bronze; base yellow; 24 inches; May 11, 18 days. William III.�Yellow-bronze; 28 inches; May 10, 19 days.